An internet sensation for more than 40 years, Twiggy the water-skiing squirrel is performing in St. Louis. ST. LOUIS — Dreaming of spring? This weekend the annual St. Louis Boat and Sportshow will take over the Dome at America’s Center. There are more than 500 boats on display, fishing demonstrations, kids activities and a life-size pirate ship. 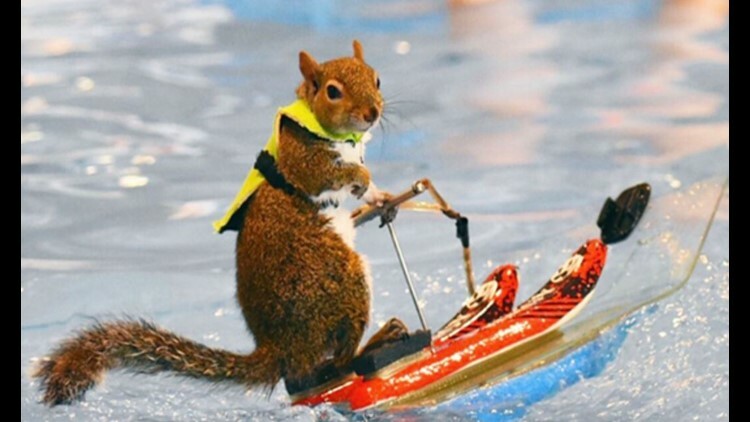 While you’re at the show you don’t want to miss the world’s most famous watersports-loving squirrel. Twiggy will be water-skiing behind a radio-controlled boat in a heated pool. The boat show opens Thursday at 2 p.m and runs through Sunday. Tickets are $12 for adults, kids 12 and under are free.